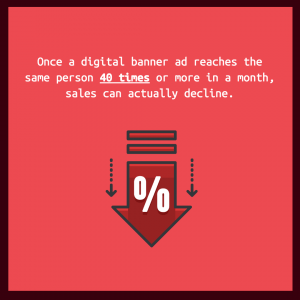 If content marketing is the hero of the modern marketing story, then banner ads are most certainly the villain. 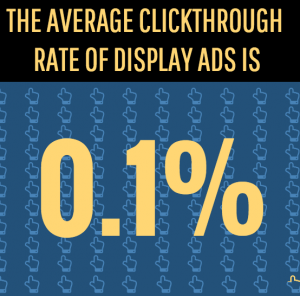 Banner ad click through rates have fallen to less than 0.1%. 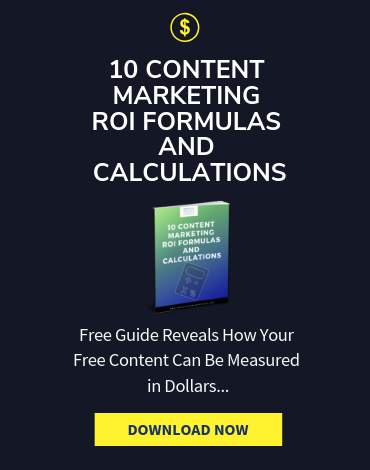 This and the title of this post have become one of my favorite content marketing quotes because they demonstrate one of the biggest challenges with marketing today: Marketing that doesn’t deliver real results. 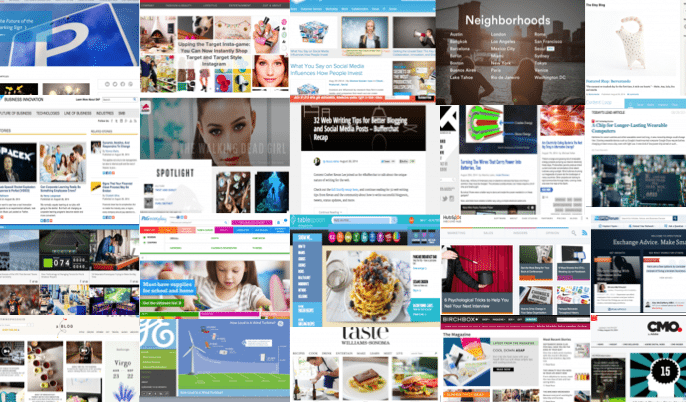 All these issues have caused almost all of us to completely ignore ads on the side, or above, or below, or on top of, the content we are trying to view. 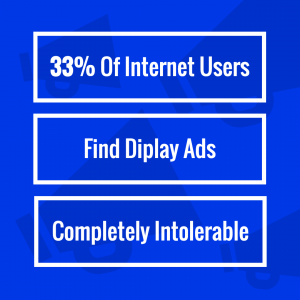 This banner ad saw a 44% click through rate and sent traffic to a series of AT&T ads narrated by Tom Selleck, that promised a future where you could read books, get directions, send faxes, pay tools, buy stuff, watch movies, and attended meetings – all online? Whoa!!! Banners have suffered a bit since then. 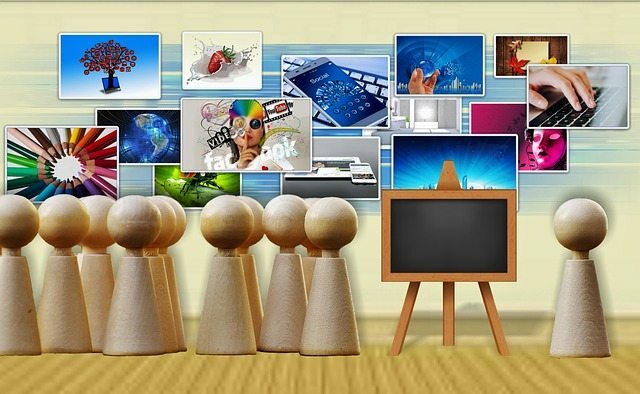 The number of people who can access the web has grown from 30 Million in 1994 to more than 7 Billion. That’s 50% of every single person on the planet (including babies) according to Internet World Stats. 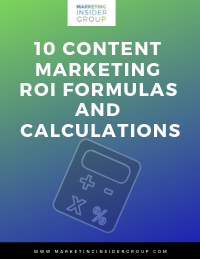 The amount of content on the internet has grown by leaps and bounds. Every minute of the day, there are more Google searches than there were people on the web back in 1994. 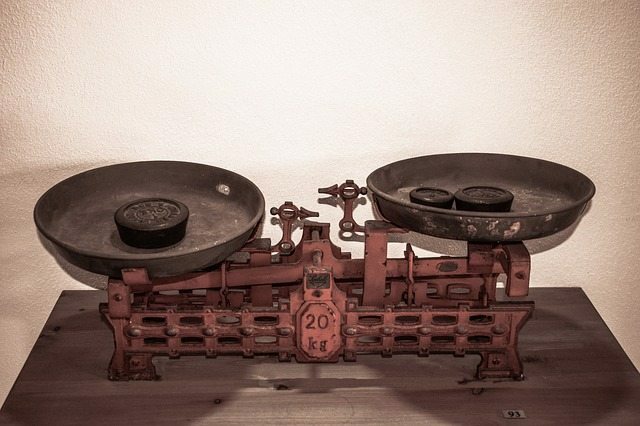 Every minute, there are 10 times more emails sent than there were people on the web in 1994. 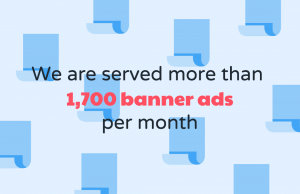 And so the number of banners ads we’ve served all these web visitors has grown as well. 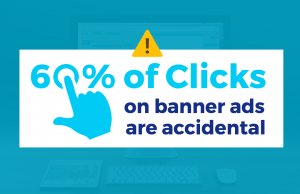 The banner ad display format is expected to grow 7% this year to more than $44 Billion, despite the crazy insane lack of effectiveness. 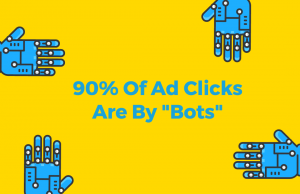 Marketers are blindly shifting their ad budgets into digital ad formats that are seeing lower and lower response rates. 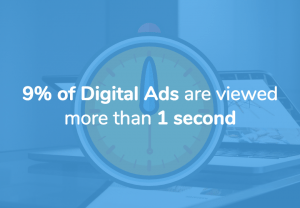 Instead of interrupting our content experiences, content marketing promises to be the content our customers are looking for. 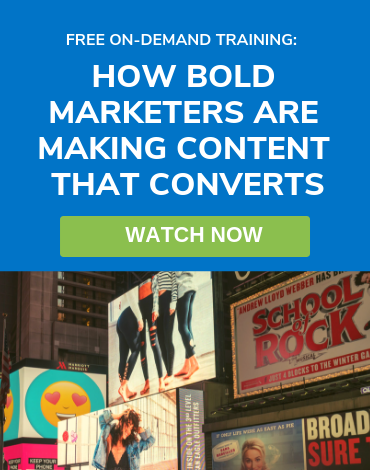 Content marketing seeks to earn an audience vs. buying it. And when you create content that people actually want, content that actually helps them, then you build a relationship based on trust. And trust is what ultimately drives conversion to real sales, real customers, and real business value. 1. 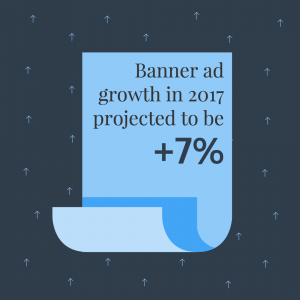 Banner ad growth in 2017 was +7% (Iron Paper) despite these massive decline in CTRs. OK, that’s not 99 problems. But I think 56 problems is enough! What do you think? Should banners be put to rest? Don’t waste your money on marketing that doesn’t work. 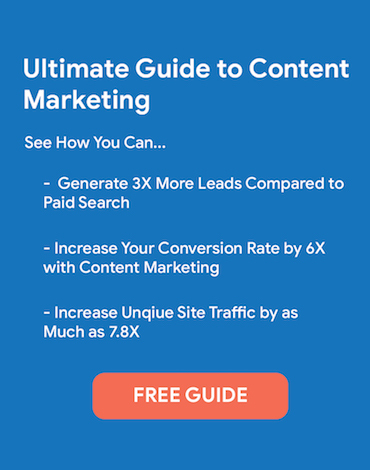 Contact me to get started with content marketing today. And Subscribe here for regular updates. 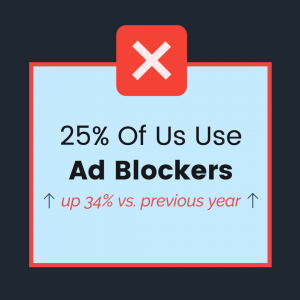 Editor’s Note: This post was originally published on June 21, 2015 and has been updated with some more recent stats. Thank you Michael, this is a very useful information. 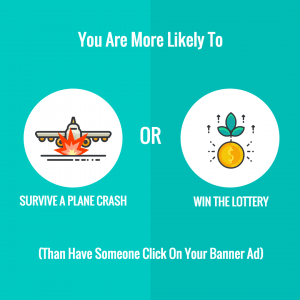 I only have 1 question, if content marketing is the hero of the modern marketing story, then banner ads are most certainly the villain. So, how can I send traffic to the note? 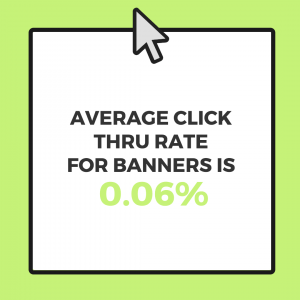 I work in sales area for a premium editorial and I sell content marketing for many companies, but we use a banner to send traffic to the note. Are we doing things right?